Highlighting its 2017 SIHH debuts, German watchmaker A. Lange & Söhne has added a perpetual calendar to its already complex Tourbograph Pour Le Mérite, which in 2005 was the first wrist watch to ever incorporate a fusée-and-chain transmission with a tourbillon and a rattrapante chronograph. 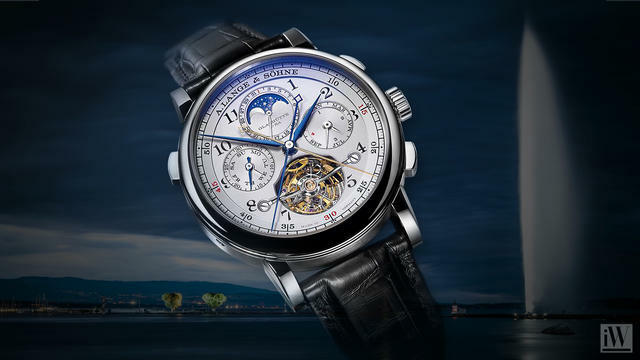 The result of this effort, the A. Lange & Söhne Tourbograph Perpetual Pour le Mérite, incorporates the perpetual calendar function into the Tourbograph framework without drawing undue power from the watch’s mainspring, but while also allowing the wearer to use more than one of the five complicated functions simultaneously. 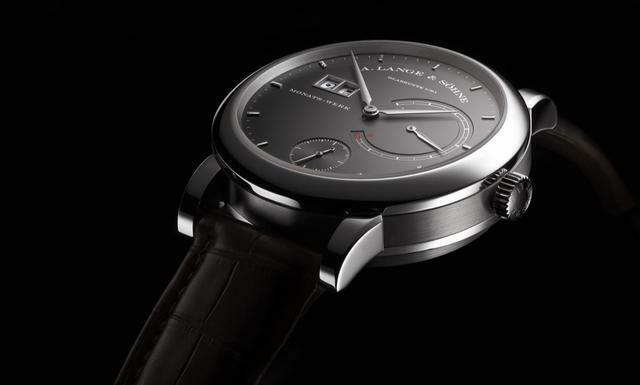 Because of this new engineering, the watch retains the 36-hour power reserve of its forebears. 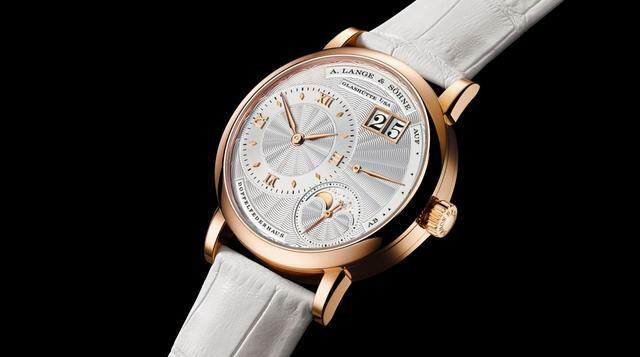 To create the new watch A. Lange & Söhne built the perpetual calendar mechanism around the tourbillon, which meant the firm essentially rebuilt the entire caliber. The new 684-part L133.1 manufacture caliber includes 206 components that operate the perpetual calendar with all its displays. The calendar will correctly indicate the duration of each month until 2100 when a one-time correction will be needed on the last day of February. From then on, the calendar will again be correctly calibrated for the next hundred years. The calendar has three subsidiary dials. The date at 12 o’clock and the day at 9 o’clock are indicated with rhodiumed gold hands while the month and leap year are both displayed at 3 o’clock. The upper half of the date also accommodates the gold moon-phase display that is calculated to remain accurate for 122.6 years. 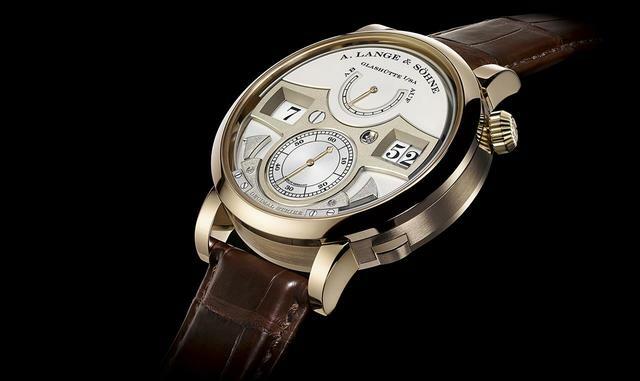 You may recall that the Pour le Mérite wristwatch series is united by a use of three different constant-force escapements as well as fusée-and-chain operation, which A. Lange & Söhne integrated into its 1994 Tourbillon Pour le Mérite wristwatch for the first time. 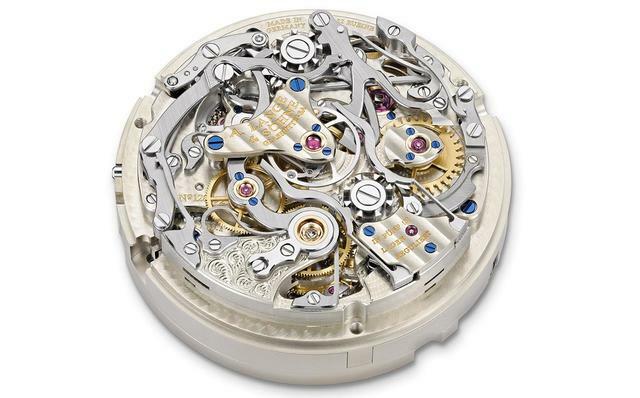 As A. Lange & Söhne explains, essentially, the fusée is connected to the spring barrel with a chain, which delivers the force of the mainspring to the movement in constant increments. A planetary gearing mechanism inside the fusée assures that the flow of power from the mainspring barrel to the escapement is not interrupted while the watch is being wound. This new model retains these features and places them within a 43mm case that, despite the addition of the perpetual calendar, is no thicker than previous models. Of course the split-seconds chronograph here is of the column-wheel variety, and you’ll find two diamond endstones suspending the tourbillon cage (as is standard on the company’s tourbillon models) while the tourbillon bridge is black polished. 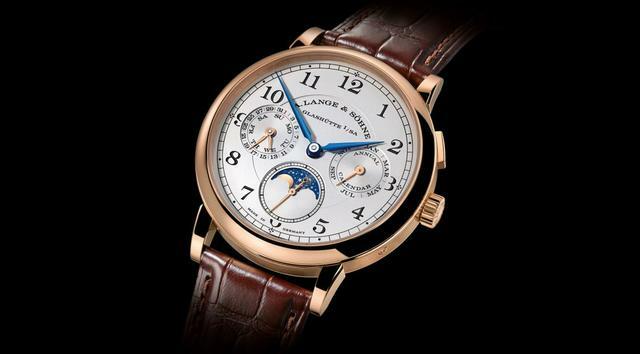 The traditional dial features Arabic numerals, a railway-track minute scale, blued steel hands for the time and rhodiumed gold hands for the calendar. The cloverleaf arrangement of the subsidiary dials pay tribute to the famous A. Lange & Söhne pocket watches. As is usual for this high-end Glashütte-based watchmaker, each watch is finished with thermally blued screws, screwed gold chatons, bridges and plates made of untreated German silver and decorated with Glashütte ribbing and perlage. The chronograph bridge is hand engraved. The A. Lange & Söhne SIHH 2017 Tourbograph Perpetual Pour le Mérite will be made in a limited edition of fifty platinum-cased watches. Price: 480,000 euros, or about $508,000. 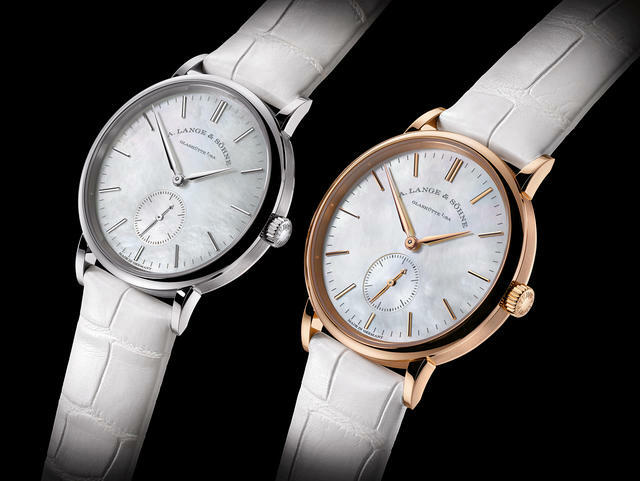 Additional SIHH debuts from A. Lange & Söhne include a white gold Lange 31, a 36.8mm diameter Little Lange Moon Phase in pink gold, a honey gold edition of the Zeitwerk Decimal Strike, two Saxonia models with mother-of-pearl dials and a manual-wind 1815 Annual Calendar in pink gold. iW will present these debuts in future posts.